The Italian Kazakh Chamber of Commerce (CCIK) being a key partner for KPO in regards of development cooperation with interested Italian companies for local content and partnerships development are invited to upcoming annual “WestKazInvest-2017”, an International Investment Forum that will take place on 27-28th September 2017 in Uralsk, West Kazakhstan oblast, Kazakhstan. WestKazInvest is a platform for the establishment of mutually beneficial cooperation between West Kazakhstan oblast (WKO) companies and international companies that would like to provide their goods, works and services and expand their businesses. On the 28 Sep 2017, there will be Oil and Gas session, where most of key Oil and Gas operators such as KPO, TCO and NCOC are invited to make speeches. The preliminary agenda is attached. 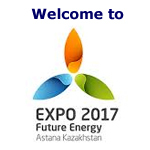 KPO being a key supporter of the WestKazInvest forums, would like to recommend to reserve 27-28 September 2017 in your diaries for visiting Uralsk, Kazakhstan in order to allow yourselves to become familiar with local capabilities and identify business opportunities in the West Kazakhstan oblast. Please confirm your and your colleagues participation and we remain open to any Italian companies and Associations whose participation by email to LCReport@kpo.kz call: +7 (7172) 59 1672 ext. 5028/5056 and info@italkazak.it call: +39 338 2200957 mrs. Goulsim Joumagoulova.